If you want to increase your website visibility in mobile searches you need a mobile version of your desktop theme and there are many wordpress mobile plugins are available to make mobile-friendly wordpress website, but the Google-preferred mobile plugin is WPtouch Pro. I know some of you have already known about WPtouch mobile plugin, and some might use its free version and if so why this WPtouch review is about? It’s because I just want to tell you the importance of creating mobile friendly wordpress website and Google’s new ranking factor and let me ask you one thing are you doing mobile seo the right way or is your website is mobile friendly? Google already started mobile-friendliness as a ranking factor for SEO in April 21, 2015. That means Google now serious about mobile Optimization and most of the websites which were getting massive traffic from Google search engine affected by this new ranking factor which resulted in a loss of website traffic by losing its ranking. And now furthermore Google begins mobile-first indexing using mobile content, and now it will look primary mobile content rather than desktop content to decide for ranking results in Google search engine. Google started this experiment, and regardless you have a great desktop website, but Google will look your mobile content first for ranking factors. Additionally, If you don’t have a mobile version of your current website don’t worry this WPtouch review teach you about how to make a mobile version of your website. In this WPtouch review, you are going to know about the each and every information about wPtouch mobile plugin in detail and also going to learn how to setup your desktop version of your wordpress website to mobile version quickly and also I will showcase the pros and cons of the WPtouch pro mobile plugin in this detailed WPtouch review. Did you know? More than 80% of searches comes from mobile devices and in today’s life Smartphone usage are increasing day by day and everyone using mobile devices for the various purpose for specific reasons and to increase your website visibility in search engines you need a wordpress mobile friendly theme for your wordpress website. WPtouch is far the most used wordpress mobile plugin to make wordpress site mobile friendly also Google-preferred mobile plugin. WPtouch is the only wordpress mobile plugin designed with pure CSS by which loads your website 5x faster while responsive themes loading speed is lesser than WPtouch. 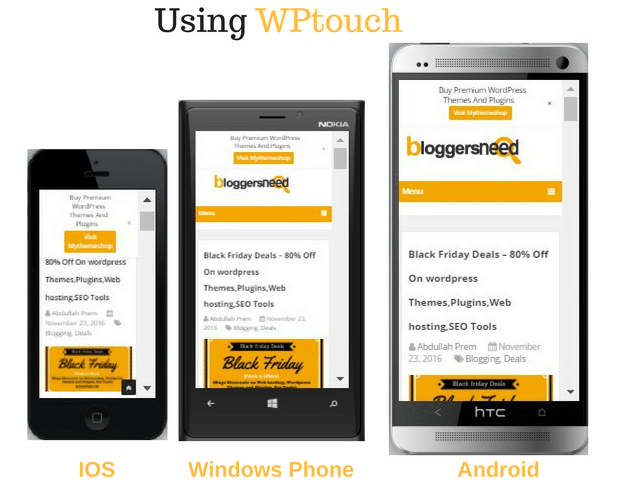 How WPtouch Mobile Plugin works? WPtouch plugin completely transforms your wordpress website into the mobile website without changing your desktop theme and content, and both desktop and mobile Url’s remains the same. To create a mobile-optimized wordpress website with WPtouch mobile plugin follow these steps. Go to your website wordpress dashboard and click WPtouch icon under Dashboard. And Click Settings – Devices. Once you navigate to devices menu, You will see the list of mobile and Browsers. Change the button from red to blue color by moving the slider left to right. Once you see every blue button, it indicates that your website will be visible on all mobile devices and browsers. Is WPtouch Mobile Plugin is Working or not? After installing the WPtouch mobile plugin on your website how to know whether the plugin is working or not? 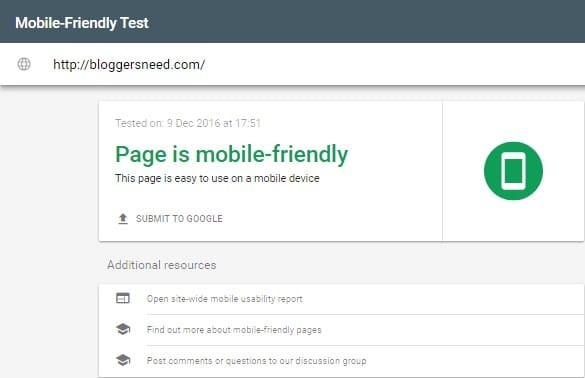 For this kind of questions, Google has a tool called Mobile-Friendly Test to check a page or website whether it is mobile-optimized or not? To know my plugin is working or not I have taken this test. 2). And Type your website URL and Hit Enter Button. After checking my website with this tool, Horray check the results in the screenshot. Yes!!! My website is fully mobile friendly and well optimized and also see how my website appears in all Mobile Platforms like IOS, Android, and Windows. • It is available in 20 languages. • Visitors can swap from mobile to desktop theme easily. • It is Compatible with most popular wordpress themes and plugins. • No need of installing ads widgets because it has built-in support to place advertising banners to your website quickly. • Great SEO advantages by bringing your website on top of search engines by speeding mobile site. • With Easy User Interface it easy to take control all themes. • Their customer support is ready to help you when you need them. 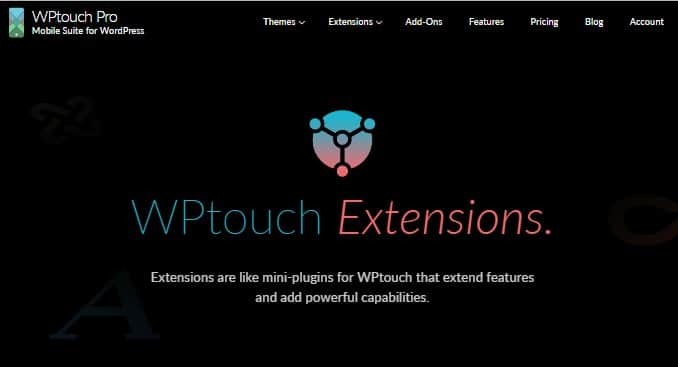 Wptouch has 10 great extensions, but in this Wptouch review, I am going to speak about 5 extensions which I feel more valuable to add in this review. Advanced type: Completely change your font style of the current desktop version to mobile version to custom fonts from Google font library and give a different style to your mobile visitors. Mobile Pages (AMP) Source it is easy to create mobile optimized content to instantly load on every device with different screen size and resolution. Basic ads: Useful extensions for online earners to show ads from Google Adsense and also can add scripts like affiliate banners or own custom scripts. Make child: choose any theme and make a child theme for the current theme. Mobile content: Show a complete content for your mobile visitors. Multi ads: Maximize your earning by showing more than one ads on your website also can show different ads from different providers. 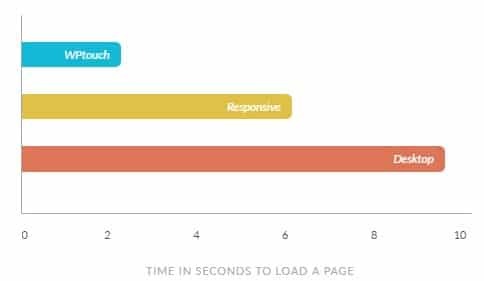 Power Pack: This add-on reduces page load times by page caching, minification and automatic responsive images. Related posts: Show related posts on your blog and reduce bounce rate by keeping your readers engaged. 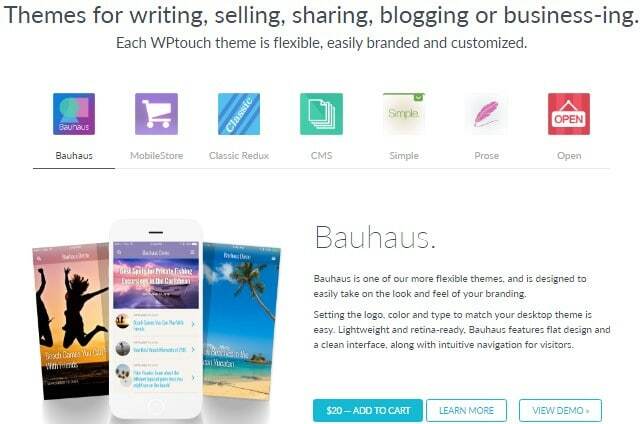 Another fact for writing this Wptouch review is because like the best wordpress themes providers it also has polished mobile themes which are flexible and will work for all kind of websites and contents. Bauhaus: More flexible theme will take your blog to the next level by its elegant look. Mobilestore: If you have woo commerce website this is the best mobile theme to use to increase your sales by giving your visitors a good experience. Classic Redux: Looking for a powerful header navigation menu layout use this theme. CMS: Your website has a lot of contents like post, pages, images, etc. this theme is the best option for you. 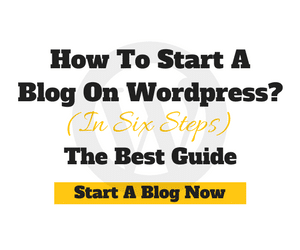 Simple: Good for small business blogs. Prose: website got viral content? And people sharing your articles? Prose is good and better. Open: slightly relevant to the Simple theme, but it is good for small business like brick-and-mortar stores to show some information like store opening and closing hours, locations, click-to-call, etc. I have to say the price of the product is moderate(Not cheap Nor high), but it is valuable to buy this product at this price. GoPro: Includes 3 themes and one wordpress website. Business/Mobilestore: Use it for 5 wordpress website and contains 5 themes. 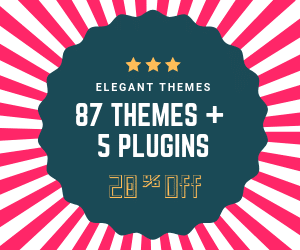 Developer: By purchasing this plan you can use this plugin for 20 wordpress websites and contains 6 premium themes. 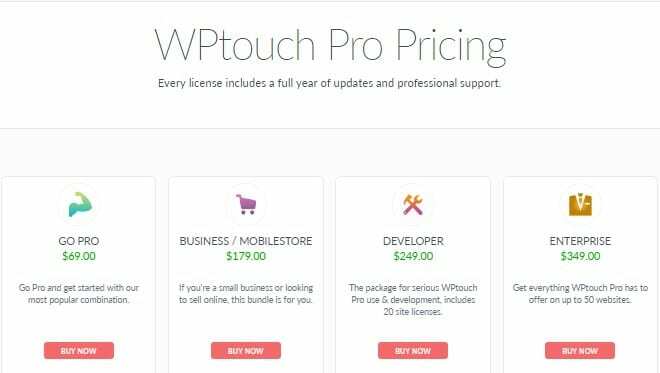 Enterprise: Almost you have everything after buying this package, and you can use WPtouch pro mobile plugin for 50 wordpress websites with including 7 premium themes. • Fast loading speed by AMP extension. • WPtouch plugin Contains great mobile themes. • Price is right to consider before buying. • Only 1 wordpress website for Gopro plan users. • Not showing Facebook page plugin in mobiles. • In older versions, Jetpack comments are not showing. As you know buying any products in online make our mind to think twice or even thrice because it’s a risky thing to proceed but to cool down your tension and pressure, WPtouch mobile plugin product creators offering a 14 days refund guarantee if the product is not compatible with your websites. So it is safer to buy this product because you can get your money back at any time. I sincerely mean it when I say that our WPtouch Pro license was the best thing we ever did for our website. 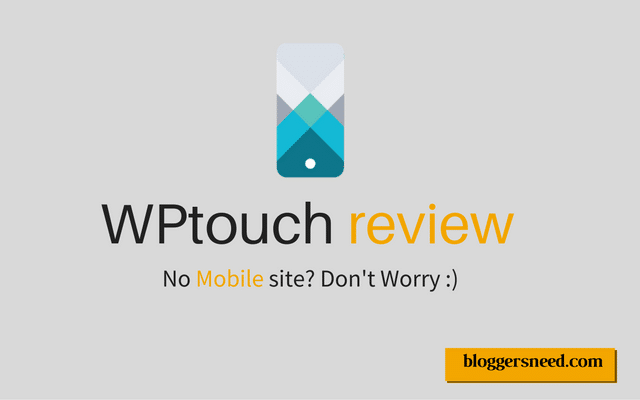 I have brought out this WPtouch review mainly for two things one is to analyze this WordPress plugin and to say about the advantage of using WPtouch mobile plugin and secondly for reminding about the upcoming updates from Google that I have already expressed at the beginning of the post. Furthermore after using this plugin I am witnessing some increase in my website traffic through mobile visitors. This product has indeed helped many sites by improving their appearance in search engines, and that’s why more than 500,000+ users already using this plugin. If you’re getting more visitors from mobile devices and your blog primary focus is mobile content or running e-commerce websites like mobile stores etc. Then you must try this product because there is also a free version is available with basic features so try it out and upgrade to pro when you need. traffic from mobile searches and give a great experience for your mobile visitors.